Authorities in Kratie province, where villagers violently clashed with mixed forces on Thursday, yesterday denied that anyone was killed in the confrontation, which sparked when officials began dismantling huts built on Memot Rubber Plantation Company land in Snuol district. 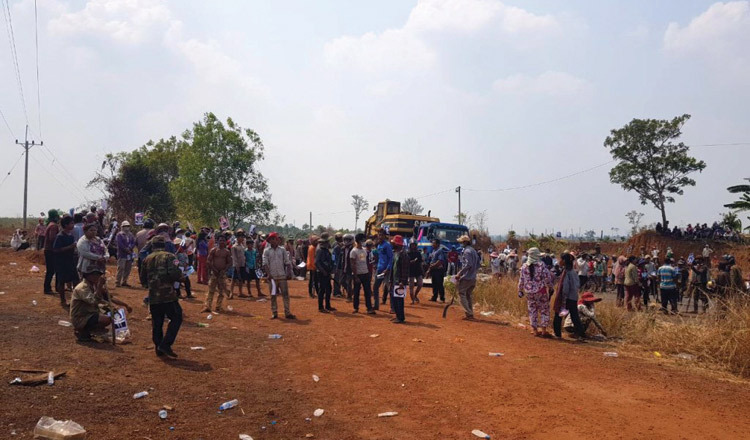 In the aftermath of the altercation, conflicting reports emerged, with district governor Kong Kimny saying that nobody had died and Poeng Vin, Pi Thnou commune chief, saying that he witnessed one villager die in hospital. “I saw one woman die at the hospital with my own eyes,” Mr Vin told Khmer Times after the clash. Mr Vin, who has since retracted his statement in an interview with Fresh News on Saturday, could not be reached for comment yesterday. 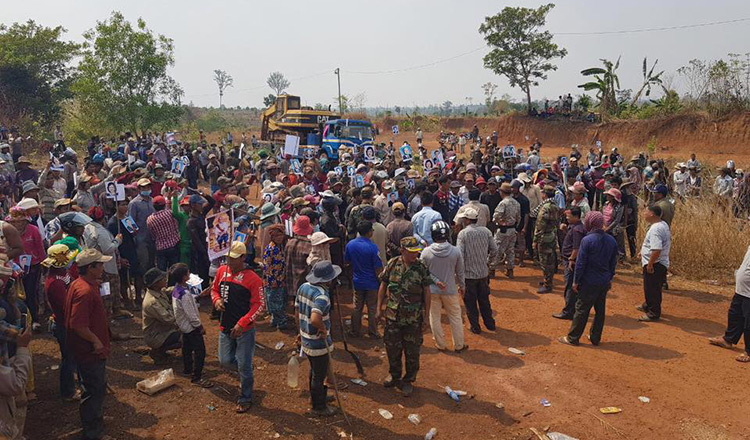 The confrontation began when about 100 officials, including district officials, a court prosecutor and representatives from the Memot Rubber Plantation Company attempted to remove 10 huts being built by villagers on company land. 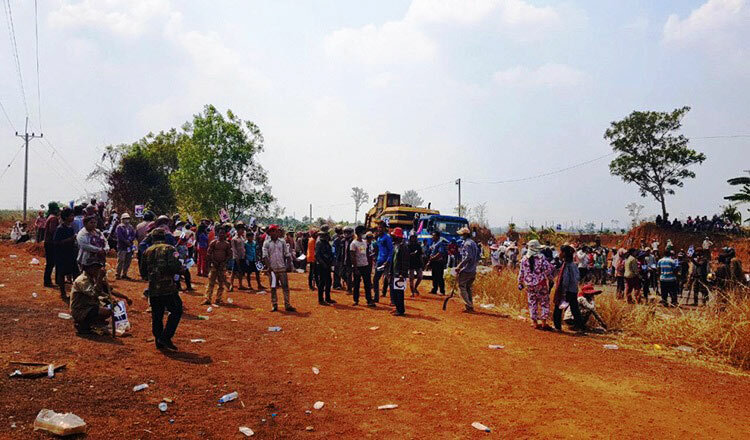 The villagers attempted to block the officials, company reps and accompanying soldiers and police from destroying their huts and measuring company land boundaries. As fighting broke out, villagers fought armed authorities with sticks, machetes and slingshots, leading to differing reports of injuries and deaths when soldiers responded with live fire. 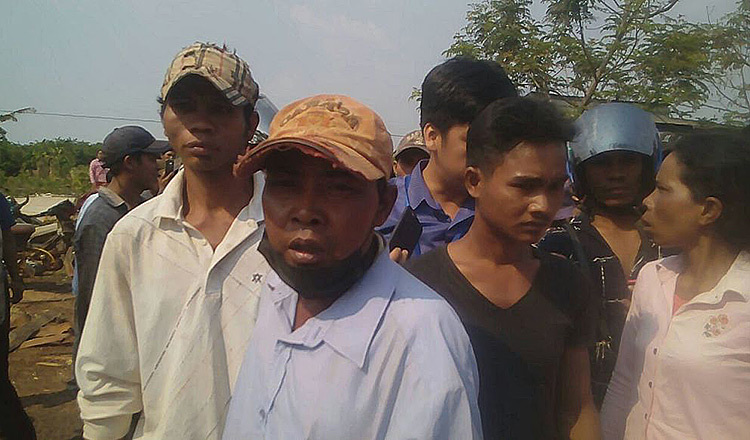 During the inauguration of a building at a pagoda in Kampong Chhnang province yesterday, Defence Minister Tea Banh said the villagers encroached on the company’s land and that the clash was exaggerated. “People migrated to work there and they violated the law by building the huts on somebody’s land. 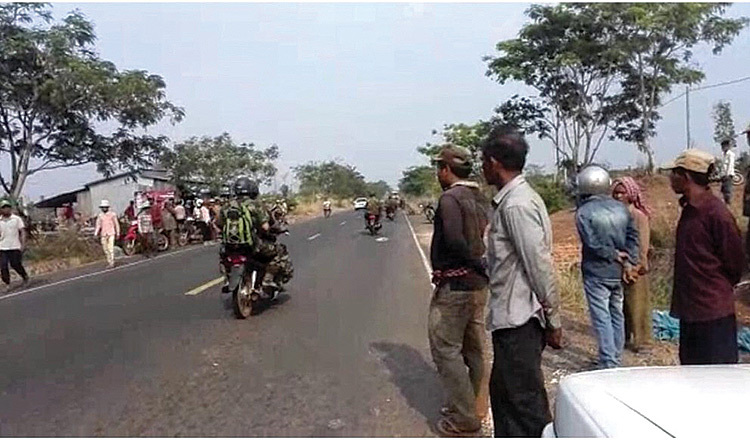 When authorities implemented the law, those people blocked the road,” Mr Banh said. Provincial Governor Sar Chamrong said the press reported the clash differently from what actually happened. Keo Socheat, the provincial prosecutor, said yesterday that the court was following procedures and declined to comment. On Saturday, Mr Socheat issued a statement denying that anyone had died in the clash following reports by other media outlets that up to six villagers had died. Mr Socheat said in his statement that no one had died and that he and the police looked into reports from local media outlets that claimed six people were allegedly shot dead and 40 injured in the clash with armed forces. Mr Socheat questioned Tin Sopheak, who was interviewed by Radio Free Asia on the night of the incident. In the interview, she said that she saw six men shot dead and more than 40 villagers injured. Mr Eng was not fully identified in the prosecutor’s statement. The government granted Memot Rubber Plantation a more than 9,000-hectare economic land concession in Snuol district to grow rubber in 2008. The Memot Rubber Plantation also issued its own statement on Friday dismissing reports of any deaths. “No people died as reported by media,” the statement said. The firm added that the false reports tarnished the reputation of authorities, armed forces and the government. The UN’s Office of the High Commissioner for Human Rights said it was attempting to investigate the incident but has been unable to carry out its duties as authorities blocked access to the site. “We are speaking with people in the community, providing support where we can. We’re also speaking with the authorities and trying to get access to the area where the incident happened. So far we have not been able to get access,” OHCHR said in a post on Twitter. Mr Kimny, the Snuol district governor, said yesterday authorities have cooperated with the UN. “We did not reject the UN, but Saturday was a holiday and they wanted to access the disputed area,” Mr Kimny said, noting he will meet with UN reps today. Meanwhile, eight villagers remain detained following the clash. General Kirth Chantharith, a spokesman for the National Police, confirmed yesterday that the eight villagers have been sent to court for further questioning.